Surprise! Surprise! Here’s a bonus release since the rebirth-team wanted to thank all our readers for being super-patient and extremely supportive. Enjoy the chapter guys! Also, here’s a poll from geeky. This is a short story poll that can help you unlock chapters! “Chun Ying is dead!” Bai Zhi exclaimed. “How did you find out about it?” Jiang Ruan asked Bai Zhi. Thus, Bai Zhi and Lian Qiao felt reassured and went to fetch some hot water. 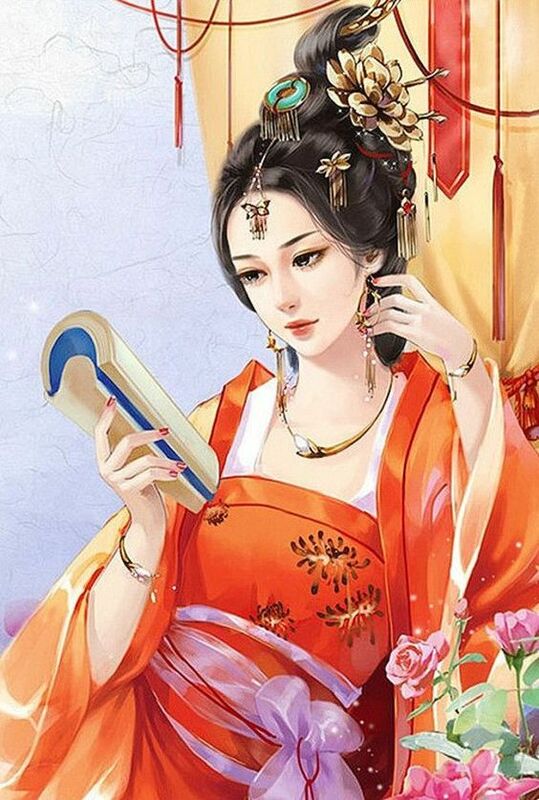 Jiang Ruan sat beside the oil lamp and leafed through the book slowly. Her gaze, though, travelled elsewhere. She had lied. Chun Ying’s death was not a surprise to her at all, because she had already expected this ending. Everyone has their own weaknesses and limits. Chen Zhao was not only bad-tempered, but also someone who was unreasonably mistrustful of others. She knew that Chun Ying’s continuous demands would only exhaust his patience and sooner or later, he would stop believing that there would be a day when Chun Ying’s greed could be satisfied. His displeasure would gradually develop to the critical point when it would become disastrous for her. When his anger and shame from the inability to provide for her reached a turning point, his trait of cruelty would be provoked. Killing someone would merely be a natural course of action with these factors at play. For her to make this possible, she would also require Chun Ying’s contribution. Chun Ying’s materialism as a result of this opportunity to blackmail Chen Zhao, in which she herself could benefit without investing any of her efforts, fell into her lap. This chance would definitely be something she would not give up on. Jiang Ruan merely ordered Bai Zhi to bribe a few servants to “unintentionally” mention Chun Ying’s craftiness and insatiable greed in front of Chen Zhao. It was the right time, right place, and right people. Even if she did not orchestrate Chun Ying’s death, she still had to die. Since this was the case, she could never be honest with her two maids. In their eyes, she was merely a helpless lady with a kind character, who had been forced into a corner where she had no choice but to fight back without any hesitation. However, she was the only one who was aware how rotten and corrupted her heart was under this skin of hers. Next postShort Story Poll Event Results! First dish has been served. Enemies of JR, beware! Thanks for the update guys, this is really a treat! JR’s employing the tricks she learn in the imperial harem, right? So she has used Chen Zhao to kill Chun Ying. Will she use this to get her stolen property back? Or will she just take Chun Yings possesions which were bought by Chen Zhao? That would be kind of karma since they stole from her first. I am just wondering since she said she will get everything back before she leaves this household. i don’t think getting her possessions back is her motive at the moment..
Ladies, never feel sorry for your viciousness in self-preservation. They got it comin’ . I don.t consider her hear being rotten it is more like heartbroken than anything else. Thanks. true! deceived by so many close people.